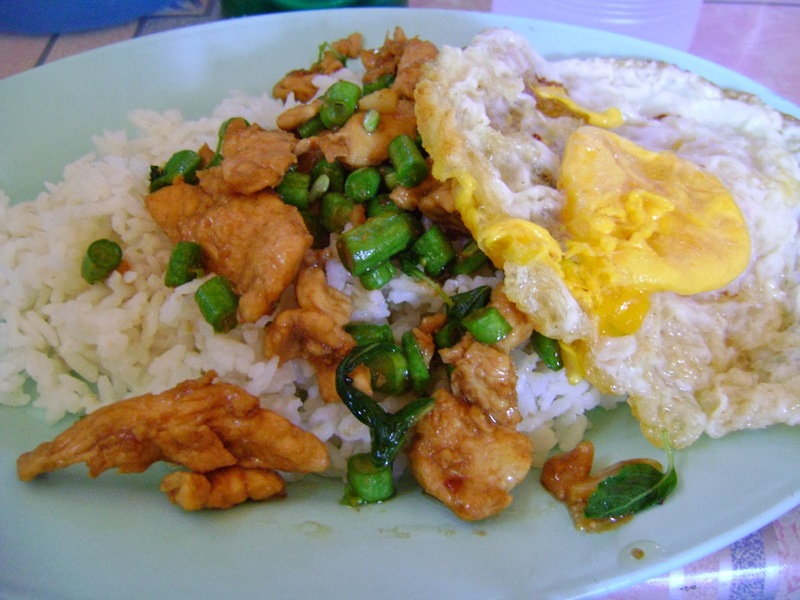 Contents: It is white rice, chicken, green beans and a fried egg. Notes: "This picture is from back in 2009, when I was visiting the refugee camps in Thailand together with 7 other ambassadors for ZOA refugee care. This is a lunch prepared by students in the refugee camps who took cooking classes in their school. It was delicious!" Looks delicious! If only they served this in the US! Theres too much fruit and vegetables in the us school lunches!